The location of Crystal Creek Lodge on the Naknek River in King Salmon, Alaska was chosen with great intention. 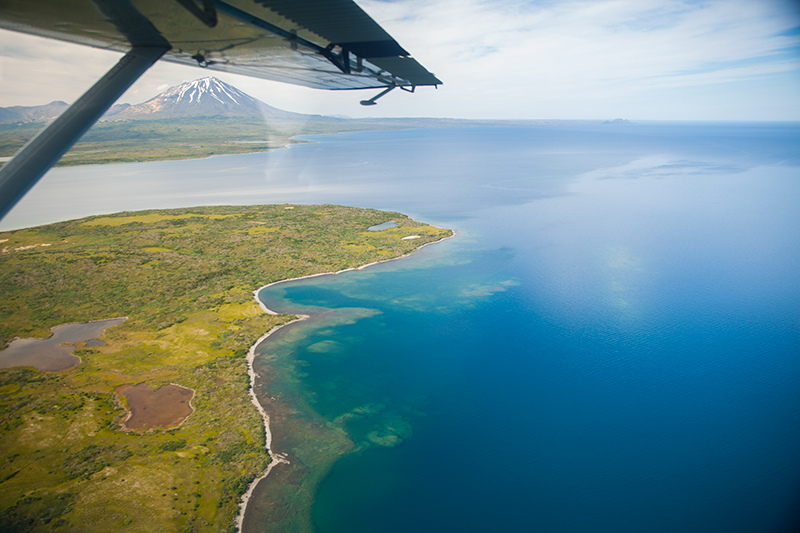 Most notably, the lodge is a mere 5 miles downriver from world-renowned Katmai National Park. Although Katmai is known throughout the world for its brown bears, fishing, and wildness, we also have another major wilderness complex in our backyard. Just a short 20-minute flight south from the lodge is the Becharof National Wildlife Refuge. This 1.2 million acre roadless landscape is entirely wild, with large lakes and rivers that play host to some of the best fishing in Southwest Alaska. The Becharof National Wildlife refuge contains a variety of terrain. From the towering cliffs and sandy beaches of the rugged pacific coast to towering peaks and volcanoes of the Kejuoik Mountains. In between, you’ll find giant glacial lakes, wild rivers, huge swaths of tundra and broad valleys. Becharof Lake alone is 300,000 acres, and is the 2nd largest lake in Alaska. The lake boasts the 2nd largest sockeye salmon run in the world (2nd only to the Kvichak River / Iliamna Lake). Becharof is home to the most notable wildlife of Alaska – brown bears, moose, caribou, wolverine, fox, wolves, beaver, otter, and much more. 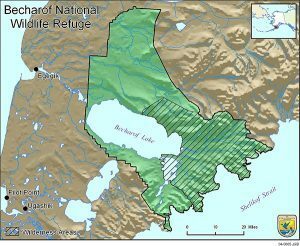 With all the variety of landscape and wildlife, the Becharof National Wildlife Refuge is a paradise for those wishing to experience Alaska. At Crystal Creek Lodge, we are lucky to be able to access such an amazing expanse of wilderness. The fishing opportunity, wildlife viewing, archaeology, bird hunting, geology, and flight seeing is simply world-class. You could quite literally spend a lifetime exploring the Becharof region and not see at all. 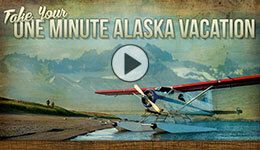 Contact us to learn more about out fly out trips into the Becharof National Wildlife Refuge.